Candanchú is located in the Pyrenees in the province Huesca. 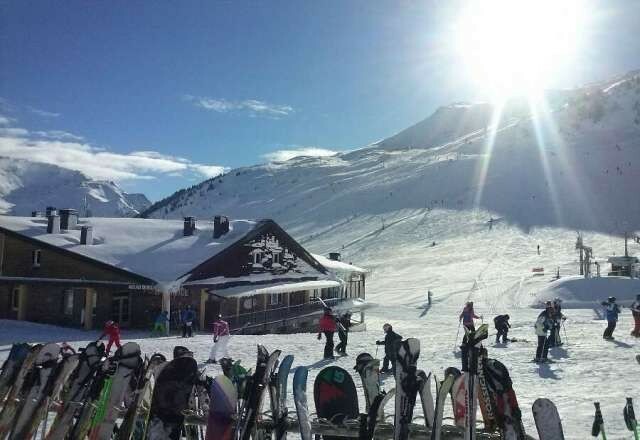 Candanchú is at an altitude of 1530 m with lifts going up to 2400 m. There are 26 lifts (6 Chairlifts, 17 Surface lifts and 3 Magic Carpet) and 44 pistes (10 green, 12 blue, 17 red, 5 black). The combined skiing area is 39.8 km. The lift capacity is 20350 skiers/hour. The ski season lasts from December to April. Candanchú has also a cross-country track.